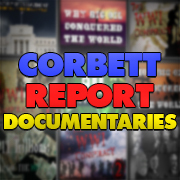 You can help support our independent and non-commercial work by visiting http://CorbettReport.com/Support & http://MediaMonarchy.com/Support. Thank You. James, the front page link to this article links to kia one instead. Thanks for the tip, mkey. The link has been corrected. Great scrolling! …so much humor was flying around that I need to rewind to catch it. JimBob who found this some really freaky reading. I recommend lots of alcohol even though I was stoned on weed. Technocracy vision laid out from an investment perspective. I have just been provided with the following – not had chance to fully read – thought may be of interest to this audience. Thanks, I can see why you haven’t read it thouroughly yet! Nearly 400 pages! But Kurzweil’s name being mentioned on page 2 means that I’m going to check this one out. JimBob who has known some real scummy people who wrote up these kinds of papers so he’ll try and remember some of the things to look for in scams; but it’s been 15 years since he’s done those kind of things. James EP….you look fabulous this week…shave good haircut, lighting, handsome guy! NOTE: You usually look sort of bummed out…shave? haircut? lighting? James C. you always look fabulous! The “Russia Hacking” narrative has been injected in the Hacker community as well. With my IT background I am following much of that community. The main IT news sites have reports from the DNC-hacks by Guccifer2. So they now try to use propaganda on the hackers. It seems to succeed partially. Most don’t want to care about politics. I hope they wake up some day. I have often tried to find actual evidence, but that is never shown. It is all circle-jerking of the same story. There have been reports of Election hacking by Veritas and via Redacted Tonight. But these are about internal corruption and interference. On both sides. Veritas shows mainly Hillary’s corruption, and some other criminal actions. – “Someone” got someone’s gmail password. And so it must be Russia. – The Guccifer2 documents (not wikileaks) contained russian keyboard. So they were opened, keyboard setup was changed, and the documents were saved again. So this is proof of Russia. – There were 50 IP addresses that made connection to the DNC in some way. One came from a Russian library. – We don’t know how Russia did it, so we must be very careful and fear Russia. – Years ago some Russians in a library were trying to get into whitehouse website. The indictments do not even follow these rumors. They are about a few Russians that were posting memes and advertisement on Facebook. – He has a Russian Virtual Private Network. Can be rented from anywhere. – He is suspected to be planted. As he has edited the documents, just to change the keyboard to russia. – Wikileak documents show no edits. – Wikileak documents have timestamps that can only relate to an USB drive. – Interview with a wistleblower who fled to Russia, tells he met with the now dead DNC member. – Company Crowdstrike who is doing all investigations, is from Ukraine and is at war with Russia. The FBI/CIA/NSA did not get access to the servers. – The contents of the e-mails that show how Hillary was manipulating the election. – Real hacker problems, like the Awan brothers. – Members of FBI and CIA working to damage Trump. – All US/UK organizations and bots that supported Hillary. – Israel, Saudi Arabia, UK. Corruption of the Democracy. How to buy or control a politician. Deep-state blackmails, threats and kills. Thanks zyxzevn! I appreciate the low down. I smiled at how you phrase a few things. e.g. I have often tried to find actual evidence, but that is never shown. It is all circle-jerking of the same story. So why then have they been screaming about it for the last 30 plus years? Turns out its not too late at all! How much would you like to bet against it being ‘not too late’ in another 5/10/30 plus years? I wouldn’t. Makes me think of James’ great piece last year..
UPDATE: Phew! Just found out we have decades left. That IS a relief! Can you interview Chris Bollyn, James? 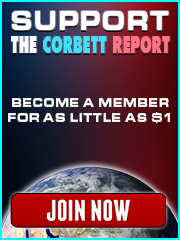 It’s the thing I most want to see from The Corbett Report, and yet has never happened. If there is a reason for that, I’d like to hear it. I like the way Bollyn gives a presentation. He came to Dallas in 2015, and so I watched his presentation and talked to him. You can watch the YouTube video if you do a search. I gotta tell you that James has often previously covered aspects of Zionism. Do a search on the Corbett Report’s SEARCH BOX plugging in terms like “Zionist”, “Zionism”, etc. It may be like beating a dead horse. James may or may not interview Bollyn. I’ll bet good money that Corbett has read your comment. I also once had asked Corbett to interview someone (David Blume of “Alcohol Can Be A Gas”). But, I later realized that Corbett follows his own path. And I really, really respect that. He is truly an independent thinker. Thanks for the reply. I agree with what you’re saying here, and I’ve seen quite a few of Bollyn’s presentations. I think the guy is right on the money, and the reason I’d like to see him on the Corbett report is to raise his profile. I feel there are a lot of subscribers who have probably never come across Mr Bollyn. The request is really a show of support for his message.